Fall is a special season at Southern Belle Farm! We’re celebrating the harvest in an old-fashioned way – with a pumpkin patch, 4 acres of corn maze, and more than 20 outdoor attractions! Come to the country and join the fun. We’re celebrating the harvest in an old-fashioned way – with 2 acres of pumpkins, 4 acres of corn maze, and more than 20 outdoor attractions! Join Us For Our Fall Season in 2019! 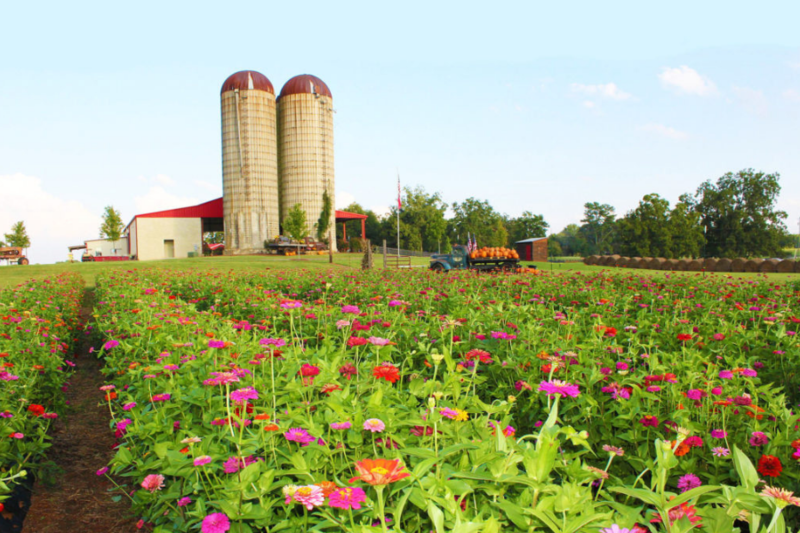 Come out to Southern Belle Farm in the fall for an experience you will not forget! We provide families will good wholesome fun. There is a wide variety of things to do from riding a hayride to shooting our corn cannons. 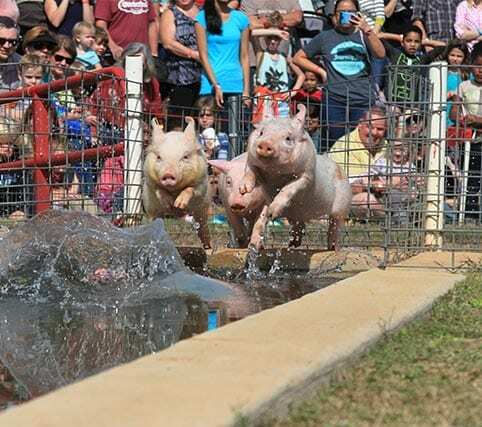 We hope to see you this fall, conveniently located here in McDonough, GA.
Farm Admission includes: Cornfield maze(s), Hayride, Cow Train ride, Corn Cannon – 3 shots, Jumping Pillow, Racing Pedal Carts, Giant Tunnel Slide, Kiddie korral, Corn Box, Rubber Duck Races, meeting our Barnyard Animals, Seesaws and Pig Races. Getting lost in a corn maze can be fun for the whole family! Our farm has a four-acre cornfield with a unique design every year. The corn maze is fun for the whole family. Take the opportunity to get lost and answer questions to find your way out. From pumpkin painting for the kids to decorative pumpkins for the house we have you covered. We also have a wide selection of pumpkins for carving, so your family can take some fun back home with you. 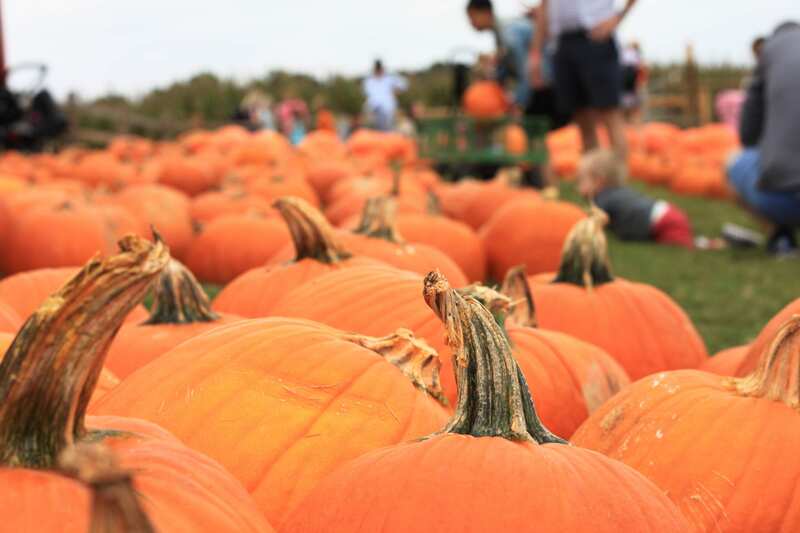 Take a trip through our pumpkin patch to find the perfect one for you and your family. We have several fire pits available for reservation during our Fall season. Perfect for a group or family get-together. We can provide what you need with Belles Campfire package. You can request a campfire reservation online at the link below! Farm admission must be purchased separately from package.